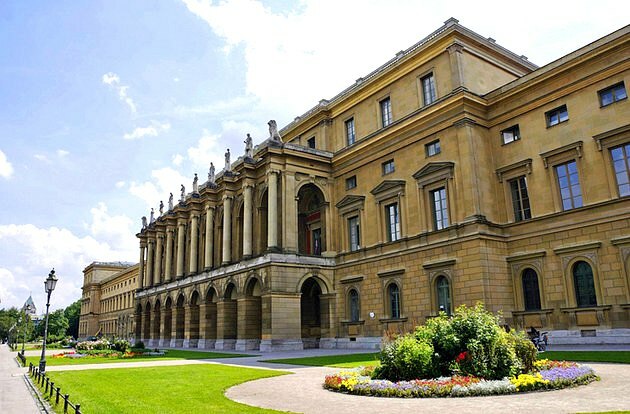 The Royal Residence (Residenz) in Munich was the home of the Bavarian royals for hundreds of years up until 1918. The building also served as the seat of government, which perhaps explains its rather sober looks from the outside. On the inside however, you are treated to attractive courtyards, ornately decorated rooms and colourful gallery corridors. 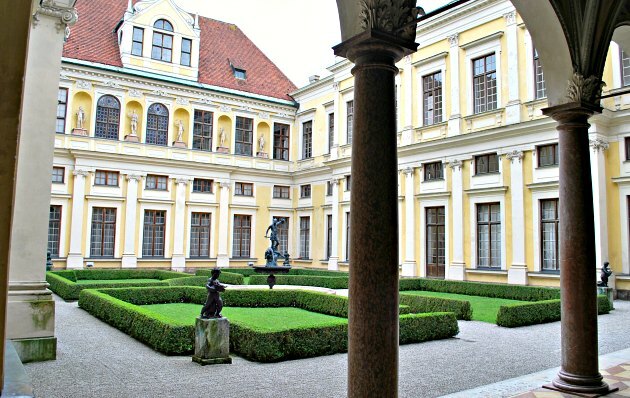 Each King left his mark on the Residence, added wings and courtyards to the building. 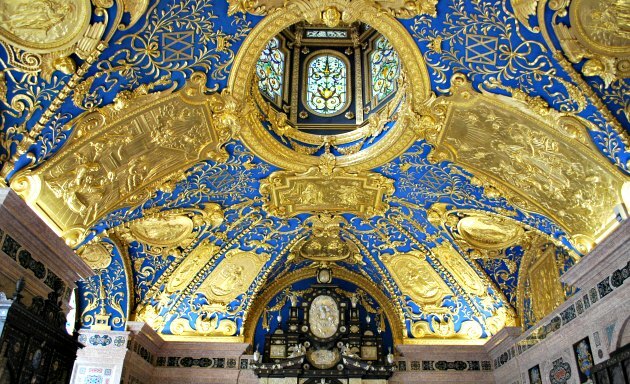 It is the largest city palace in Germany and there are plenty of jaw-dropping sights to see. 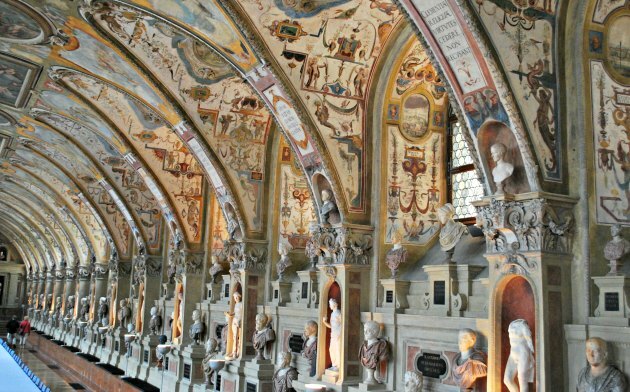 Top of the list for us was the amazing ‘Antiquarium’ (pictured below) – a long hall with statues on every surface and beautifully painted ceilings. 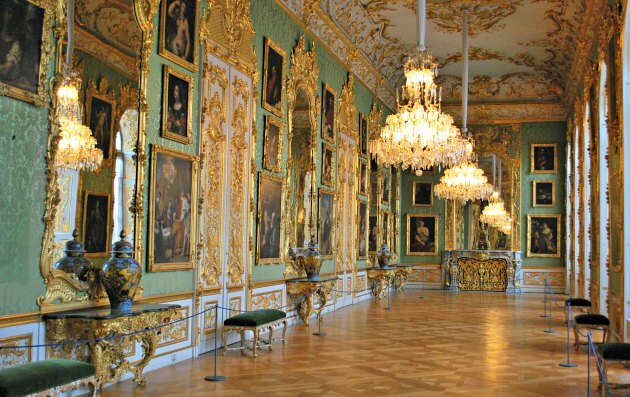 Other highlights include the chapel, the Baroque Ancestral Gallery and the Green Gallery (pictured below) doubled up as a mini ballroom, as well as a place to hang works of art. There is also a theatre in the Residenz, but this is not included in the standard tour. We thought the basic admission price was very good value for money with lots of rooms to see inside. We have visited many palaces around Europe where the ticket price was a lot more and you actually saw a lot less. Some of the rooms were destroyed in the Second World War and have been restored, but there are still plenty of original rooms and features to see. The Residence Museum is open daily in the summer from 9am to 6pm and in the winter from 10am to 5pm. Adult admission to the Residence is 6 Euros with concessions at 7 Euros (2016 prices), children are free. Separate admission prices are charged for visiting the Treasury and the Theatre. If you do take the tour, make sure you pick up your free audio guide. The guide station is easy to miss and we got to the second room before we realised everyone else had one! The Munich Royal Residence is in the city centre near Odeonplatz.